This week was definitely one of those that felt both really long and really short all at the same time -- ever have weeks like those? We don't have a ton of plans this weekend -- the weather looks like it's going to be a little iffy so we'll probably end up playing it by ear. 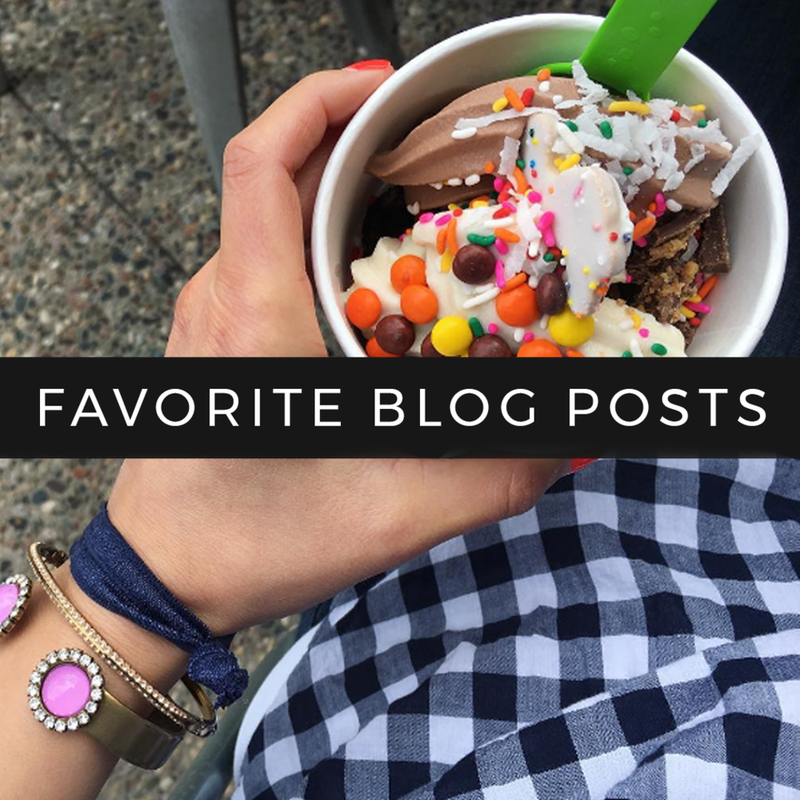 In typical Friday fashion, I'm linking up to share some of my favorites from the week! The arboretum has been gorgeous lately with all of the fall colors and flowers! I've visited there twice this past week and it's been so fun to walk the trails while seeing what is new for the season. I'm just started taking a class at church with my friends Jen + Monica and after the first session this past week, I left feeling so excited about it! It combines Myers Briggs, Holland's personality types, and spiritual gifts all into one class, with the purpose being to learn more about yourself and your calling. Fall TV shows start next week and I'm so excited for American Housewife, Grey's, How to Get Away with Murder, and This Is Us! I also want to check out The Good Doctor and 10 Days in the Valley. My small group meets again tomorrow morning (we meet every other week) and I'm looking forward to spending time with some of my favorite girls while discussing the first couple of chapters from our new book! Our last meeting was just a catch up session / group kickoff so it will be fun to dive into our reading! What shows do you regularly watch? What's the last class that you took?